Some people hear the word “DIY” and they’re instantly afraid. They picture paint, scary tools, and a whole lotta time. 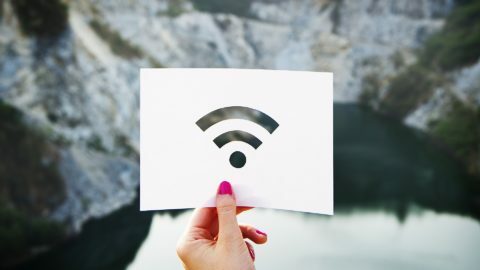 But today’s DIY project isn’t scary at all and it will take you less than 10 minutes to put together. Yep, we’re pretty confident ANYONE can tackle this project. 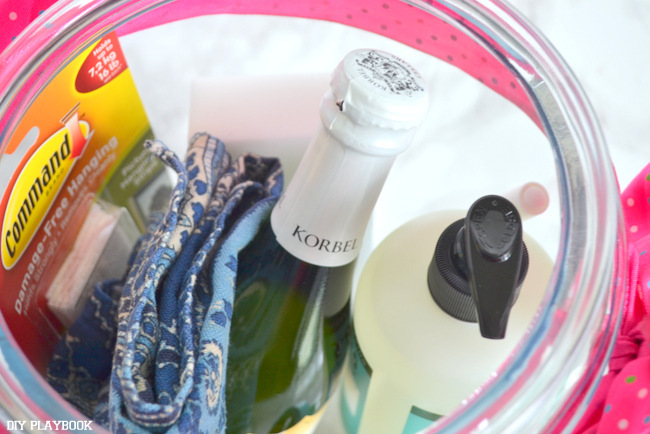 If you have a housewarming party coming up, and you have no idea what to bring, we’ve got you covered. 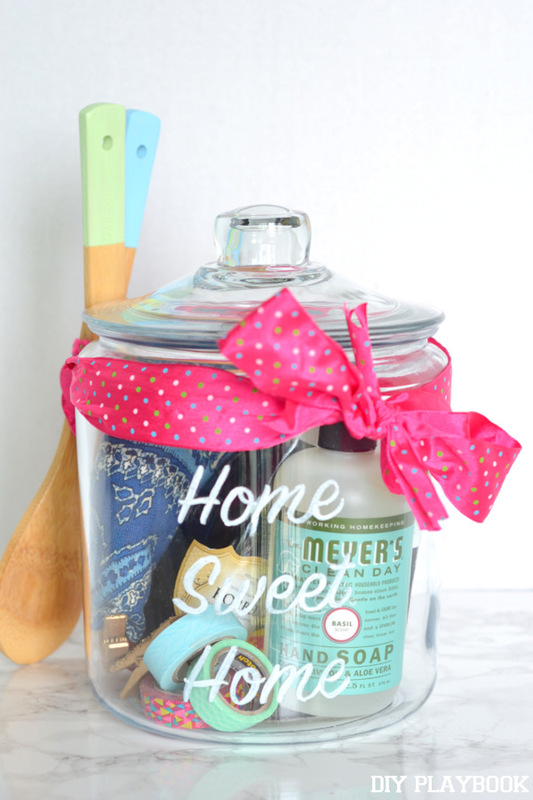 This personalized DIY housewarming gift will be sure to impress your friends and the new homeowners. Plus, it’s chock-full of useful gifts that the new homeowners might actually need! Practical & cute…that’s what we call a win-win in our playbook. 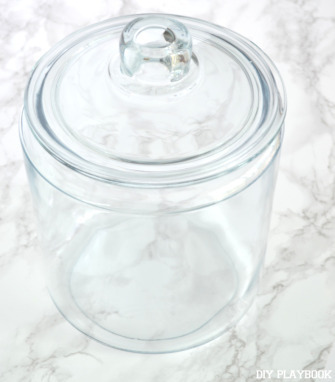 Your favorite home products to fill the jar! 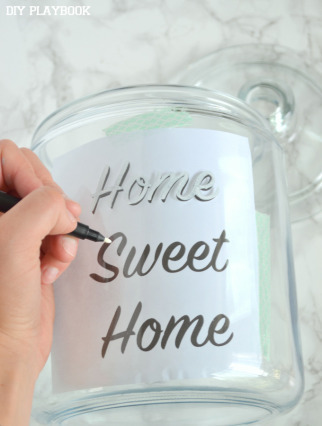 STEP 1: To create the words on the jar, you’ll need to print something off your computer to trace. We went with “Home Sweet Home”, but feel free to get creative! 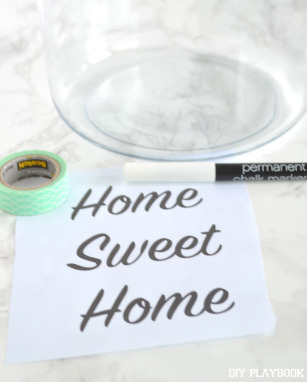 STEP 2: Tape the piece of paper inside the glass jar, and trace the words onto the outside of the jar using a paint pen or chalkboard marker. The writing will not be permanent but should stay on there as long as you don’t rub it off with a wet rag. Take the paper out of the jar and discard. And boom…you’re done! 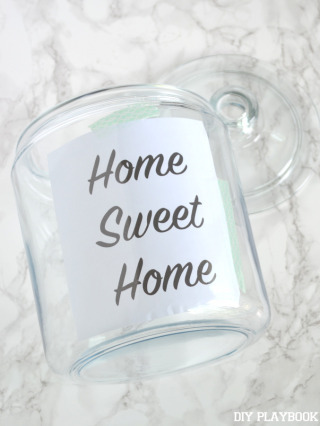 You now have a personalized DIY housewarming gift designed to make your friends feel more comfortable in their new home. Look at you…you’re a DIY’er now!